Executive Search firms are a valuable resource for companies looking for high level employees...but there is a price. Using a good search firm will cost money but when you pick the right firm they will provide you a top performer, thus a high return on investment. In the end, that is the single best reason to justify the use of an executive search firm. Why use an Executive Search Firm? This is a partial list. The more narrow the field of candidates, the more important the position the more likely a recruiter will be a winning choice. An executive search firm may specialized in an industry or a profession. For example, on firm may specialized in the full spectrum of candidates to service biomedical companies. Another company may specialized in servicing any type of company looking for Sales professionals. Here's the difference, the company that specialized in an industry should know the buzz words and be up to speed on various aspects of both cutting edge trends and who's who in the industry. The search firm that specialized in a profession will know all the players no matter their industry. What they have in common is both know the landscape and offer some specific knowledge of what it takes to work in an industry or what it takes to be successful in a particular position. Tip 1 - Keep this in mind when you are interviewing an executive search firm. Find out the background of the principles and ask them probing questions about the field or profession you are looking to fill in your company. A professional recruiter will bring skills and resources to the job that most hiring managers and HR managers don't possess or use very often. Skills like how to cold call into competitors or how to approach a passive candidate to qualify them for their receptiveness to looking at a new opportunity. Additionally, a person who does recruiting for a living is constantly casting their net for new candidates. Their databases are full of people they have talked with over the years and if they are any good they are constantly keeping in touch with the good ones. This is something most HR departments don't invest a great deal of time or effort. Tip 2 - When looking for an executive search firm, ask how they keep their database fresh. In terms of 3rd party objectivity, there are situations where you think you may need a person with a certain skill set for a given salary and benefits package. If you hire a search firm with experience in that marketplace and field, they can often tell you if you are offering a market package and if you can get an "A" candidate or a "B" candidate for that package. Tip 3 - If you have a sensitive position you are looking to fill, consider hiring an executive search firm to work for you on that search. Another benefit of having a recruiter is during the time when you have decided on the candidate and you want to make an offer. If you know there are going to be any contentious issues, it is a huge benefit to use a professional as in intermediary. Remember, the recruiter has a vested interest in getting that position filled. The assignment is not over until the candidate has accepted the offer and started working. Therefore if you have any contentious issues or use a recruiter. 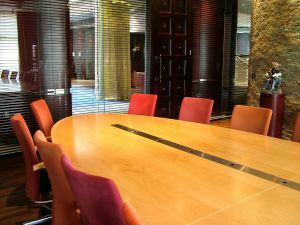 Having a 3rd party buffer during tough negotiations means after all is said an done, nothing is said directly to the candidate from your company that may cause lingering hard feelings and vise versa. Tip 4 - Make your search firm earn their money. Use them as an intermediary during negotiations so there will be no ill feelings about what may have been said during negotiations. What are the real costs to find talent, advertisement, people, time etc? What are the consequences of not having the position filled? Does your internal resource have the network, knowledge and time to fill this position? If the answers to these questions suggest you have the capability and the cost will not be unreasonable to use internal resources, the you should not use a recruiter. If do have doubt about the answer to these questions consider hiring an executive search firm.